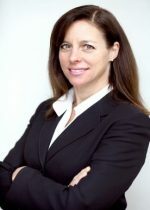 Andrée has successfully placed talented leadership professionals in respected Canadian organizations for over 25 years. Her strategic and practical approach to leadership search is appreciated by both clients and candidates alike. Clients value the diversity of leadership search assignments Andrée delivered, complimented by her ability to bring forward creative solutions. Andrée has partnered with numerous diverse industry sectors, including Manufacturing, Software, Consumer Packaged Goods, Retail, Financial Services, Advanced Technology and Industrial. Andrée holds a Bachelor of Arts from the University of Western Ontario and is a Certified Personnel Consultant. Andrée balances her active life between career, family, skiing, city and farm lifestyles, while also finding time to participate in meaningful community and charity work.